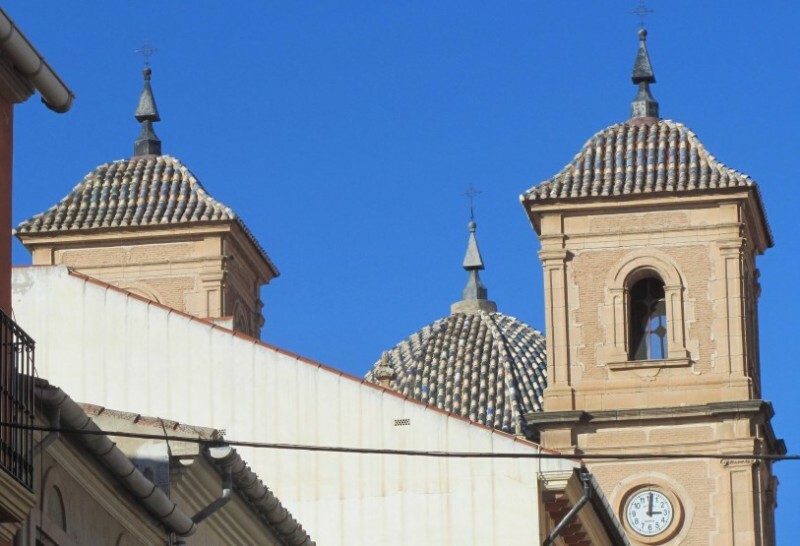 This is one of the largest churches in Jumilla, but despite its size it is hard to appreciate it from the outside, as it is located in the old narrow streets of the town at the corner of Calle Canalejas and Calle Pasos. 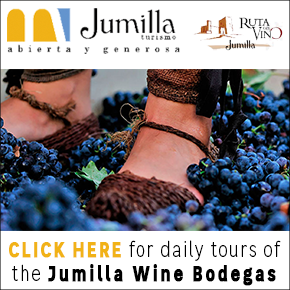 Prior to its construction, the site in the centre of Jumilla was occupied by a smaller place of worship devoted to Nuestra Señora del Loreto. 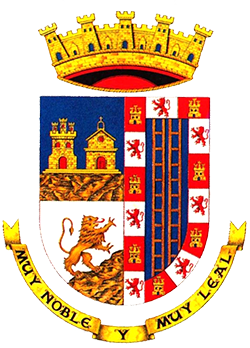 This was built in approximately 1570, but as the population of the town grew in the 18th century and the town expanded eastwards it became clear that a larger and more prestigious church was in order, and the current building was consecrated in 1791. 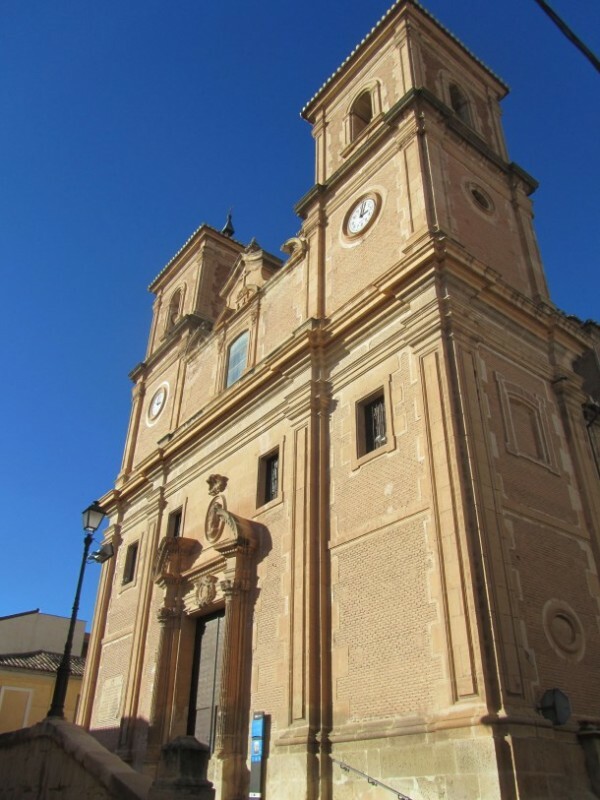 The main façade of the church is typical of the Baroque style of architecture in the Region of Murcia, and is flanked by two stone and brick towers with little in the way of decorative elements. Above the main door are the windows which provide light for the choir, and an oval relief depicting the Good Shepherd. Access is via a flight of stone steps which were needed due to the building’s location at the foot of the castle hill. One of the main features of the church is the dome which stands above the centre of the cross layout, although it can safely be assumed that the blue and white tiles which decorate the roof were added after the original construction. There are three main naves inside the church, the middle one being higher than the others, which lead to several side chapels and which are decorated with the forged iron work which is typical of the 18th century. The neo-Classical altar screen is the work of Paolo de Sistori and is painted on a curtain, with large images by Folch de Cardona representing the birth and Resurrection of Christ. This unusual arrangement may be due to the use of wood having been outlawed by Carlos III in 1777 following a spate of fires, and in the centre are niches showing the Cristo del Salvador, the Assumption, the birth of Christ and the apparition to Mary Magdalene. 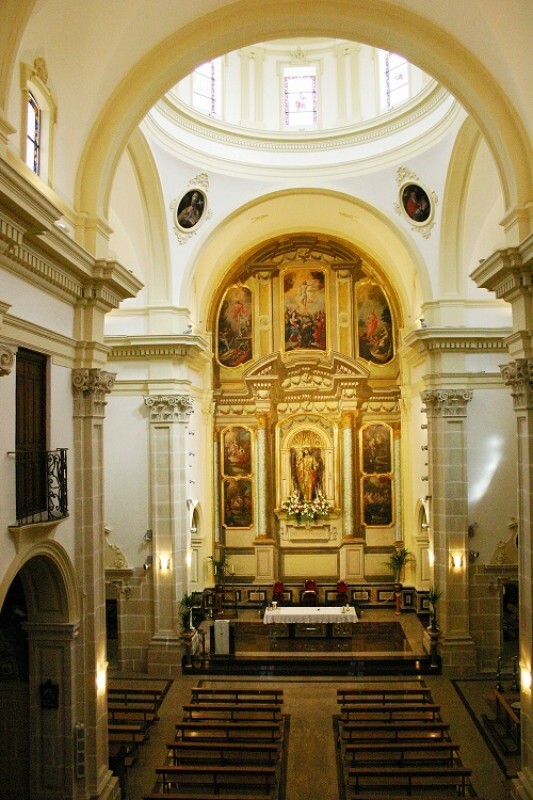 The interior also contains the figure of the Cristo de la Salud which is paraded through the streets of Jumilla every year on Good Friday during the Semana Santa processions. The statue, which is attributed to sculptor Ignacio Vergara and is thought to date from the late 18th century, was formerly housed in the Convento de las Llagas de San Francisco in Jumilla, as were many others of the religious images inside the Iglesia del Salvador. It was on the point of being destroyed in 1835, but it survived that threat and the destruction of the Civil War (1936-39) before being re-located above the altar in 1952. Mass is held every day at 19.30, and visitors are welcome during the 30 minutes beforehand.